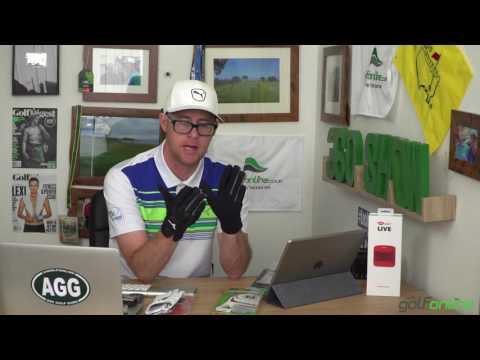 A good golf glove should not only improve your play but also offer your hand a considerable degree of protection, and it should be one that has features that advance its usability. It is in this view that we have gone ahead to do findings on some of the best golf gloves that are out there in the market. The result of our findings is summarized in this review. 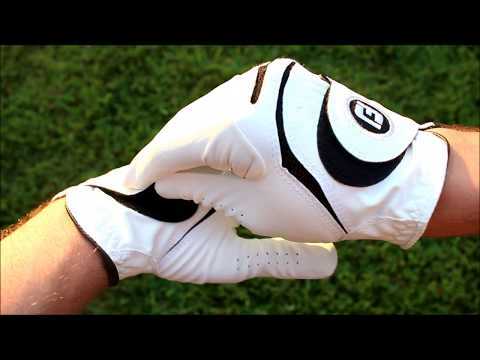 This is a glove that has been basically designed to enhance your grip on the golf club. It has a 3-dimensional finger pad and a tapered design that makes it gel perfectly with the shape of your hand. The capability is further aided by the NaturalFit technology utilized in manufacturing it. This ensures that the glove offers an ergonomic fit. Complaints over the high price of this glove have however often rent the air as some folks view the cost to be ‘unjustifiable’. In another scenario, the quality of the material used in making the piece has also been questioned. The material is said to be second-rated which could have been the major reason why the concerns over the glove’s durability seem to be gaining traction. 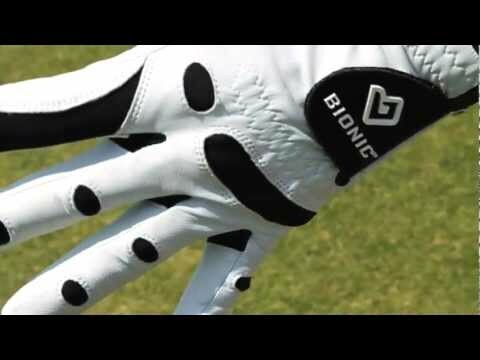 With regards to its features; the Bionic StableGrip golf glove is made from genuine cabretta leather. Its palm reinforcement also helps to enhance its functionality. The interior is of Terry cloth – this offers the glove some moisture wicking ability. And in order to ensure breathability and good comfort, the gussets have been layered with Lycra. Additionally, it comes with an anatomical pad system and web & motion zones that impacts appreciable dexterity. Bionic StableGrip though has some qualities that make it appealing in some ways but we feel it is just an average glove that should do its work to an extent. The manufacturer of this piece has to do something about the issues raised over its expensive price, the quality of the material used, and ensure that the durability is guaranteed. Summarily, it must be improved upon for the price to be a fair one. Here is another piece of glove that has been made for the purpose of achieving a good swing. It is made from a combination of Cabretta leather and synthetic materials which impact considerable measure of durability on the glove. It also has a palm patch, and FiberSof palm and back ensure that comfort is not sacrificed whenever you are wearing the glove. The FootJoy WeatherSof is no doubt enjoying rave feedbacks but this has not stopped some of those who have used it from airing their views on the shortfalls of the glove. First off, there have been some complaints about the quality of the materials, and this, has in effect, led to criticisms over its durability. Again, in some other circumstances, issues over the glove being too small in size have also been raised. This very glove has however been equipped with dual PowerNet mesh inserts – a set of feature that ensures the glove’s breathability. The manner in which the fabrics are sewn into it further increases its breathability, and makes it comfortable to wear – with this; the ease of use is ascertained. Another quality that makes this highly recommended is that it can be used in any weather condition – whether hot or cold. FootJoy WeatherSof gloves might not be in the league of the sophisticated lot but it would definitely do a good job in providing you comfort as you aim to hit the holes. Notwithstanding, it would be nice if FootJoy could look into some of the concerns raised in different feedbacks, and subsequently make move to correct the problem – probably through an upgrade. Nevertheless, we shall be giving this glove 7 out of 10. Do you want to play and feel like a pro? Then maybe you should start off with this particular golf glove from Grip Boost. The design of the glove makes it very ideal for the game. The mesh design is such that will help keep the hand dry as moisture is kept at bay, the windows not only make the glove fit perfectly unto the hand but also permit good airflow. Grip boost does seem to ooze out so much quality that it is hard to come across any negative review about it. If there is ever going to be a fault, it might be more of a personal one – rather than being general. Such could have been the case with the complaint over the glove having a poor moisture wicking ability. But this [considering the glove’s wonderful mesh design] could have been observed in some defective ones. The Grip Boost is made from premium quality cabretta leather which makes it comfortable to use, and also give it some form of durability. The synthetic webbing on the glove also makes it fit quite well, and leave a second skin feel – this is one of the glove’s unique characteristics. It also comes with an angled closure strap that ensures that the glove securely held in place while you are taking a swing. Though we may not grade this glove to be a perfect one but it remains one of the most effective piece to have on for a golf game. More so, it is among the most affordable and highly functional ones you can get. It must however be stated that the sizing of the Grip Boost is relatively different from the conventional/standard sizing range obtainable with most gloves. A fusion of function and style is what you get from this piece. It is made from leather and has perforations spread around the palm and finger sections – these perforations provide increased breathability and ventilation; making sure that the hand is cool and dry while you are wearing the glove. It has an adjustable closure that helps to keep it securely attached to the hand. Although Callaway Opticolor Leather Golf Glove has been designed for best performance but it has not been without criticisms. A couple of users have [at one point or the other] expressed their dissatisfaction over the quality of the material used in making this glove. In some other instances, there have also been complaints about its size; with some persons saying that the glove is rather too big for their liking. Besides the features mentioned earlier, this glove’s bright color is another point of attraction, and it appears to buying people over in some sense. Additionally, the Optifeel leather [it is equipped with] provided the needed comfort for your hand thus ensuring that you have a fulfilling playing time. Coupled with this, the glove is also lightweight. This is one glove that is loaded with many features that enhance its efficiency in one way or the other. Among its unique features is the CoolMax mesh panel that makes the glove’s water-resistant capability realizable, and also provides additional comfort as you wear [and use] the piece. In essence, this particular element delivers increased breathability and ventilation – a testament of its fitting design. It is rare to hear or read bout negative comments regarding the quality of the glove. If there is ever going to be any reason to complain [about this glove], it would be above it being a bit expensive and how the larger sizes tend to run rather too small to fit the hand. On a general note, these minor issues should not take anything away from the performance of the glove. This glove is made with cabretta leather that has been tanned to impact moisture resistance on the glove. Furthermore, it comes with patented Satin reinforcement at the cuff and thumb; what this does is to improve tear strength. The seams are also well positioned to further enhance its durability. And its Velcro closure will help hold the glove securely in place while you are playing glove. This PermaSoft golf glove from Titleist does look like one made for the pro golfer – we doubt if there is anyone with a contrary view. It possesses everything needed to have a good feel on the golf course. The price, you get to pay for it, is one for premium quality – a good value for money so to say. We surely cannot deny our love for this very one. We will give it 9 out of 10. Here is another good option to try out. It is made from top quality synthetic material that ensures durability; making it possible for the glove to be used in any weather condition. Additionally, its Lycra panels exhibit remarkable stretchability and as such allowing optimal fit. The perforations around the glove have been so made to permit good ventilation. The many positive reviews on this glove have often been punctuated by some complaints from displeased users. Notable among the shortfalls that have been pinned to it, is that of inaccurate sizing – the size specifications on the glove do not seem to tally with what is obtainable with other gloves; there are instances of glove running too small. Again, some persons have also raised concerns over how the glove tends to get damaged under extreme weather condition – this is a dent on the ‘All Weather’ claim attached to the glove. The glove is however reinforced with leather around the palm and thumb to deliver a great feel while you are going about a swing action on the golf course. TaylorMade All Weather Glove also has a stretch fit wrist lining to prevent it from slipping off the hand. Another element that yet promotes the glove’s ease of use is the ergonomic pull tab sewn unto it – this helps to ensure a secure fit. This very glove has got an ample of features that should make it worth trying. You get to consider its Lycra panels which give it great flexibility; the ergonomic pull tab and the premium synthetic leather it is made of then you will see the reason why you should not necessitate picking up one from the store. And the issue surrounding its parts getting damaged might be one of those exceptions. Our rating for this one is 8 out of 10. As highlighted in its name; this glove is made from Cabretta leather. And there is something quite unique about the leather here; it has been incorporated with hybrid resins which further enhance the (leather’s) softness thus giving the glove an overall cozy feel. It also has Lycra inserts fixed across the knuckles. The complaints raised over this glove have often been more of the familiar type [observable with most golf gloves]. Some users have shown their displeasure over how the leather on the palm wears out quickly. Again, criticisms have been raised over its poor moisture wicking ability – this does not make for a good experience. In some other instances, the backlash has been about the glove running small – a matter of inappropriate sizing. The tanning process through which the leather [used in making this Srixon golf glove] was passed through makes it really pliable and convenient to use. Plus the thin skin technology employed is yet another selling point that kind of gives this glove an edge. And its performance is enhanced by the perforations available on it. So, wearing this glove should not impede airflow by any means. Considering its price in relation to the features it possesses; the Srixon Z can be said to be a fair enough deal. And if there is something to be thrilled about as this piece is concerned, we believe it should be possibility of trying a glove that was passed through the Cabrex-Esx tanning process – which gives them its inherent suppleness. That means you do not have to worry about the glove getting hardened as some other gloves would. We give this glove 7 out of 10. Made from Cabretta leather, this first-rate glove offers immense comfort and gives a soft feel. The knuckle hinge is elastic and will help you gain a good grip on the (golf) club while you are playing the game. One of the highpoints of this glove is its extremely soft Cabretta leather which is quite thin but yet very sturdy. There seems not to be any dust rising over the quality of this glove. But if there has ever been any reason to lay a complaint, it would be traceable to the handling of the piece or the emergence of some defective ones in the whole lot of finely finished products – a few of such cases have thus far been reported. The other issue that does show up is that of the size running either too small or too large. One thing the MG DynaGrip Elite Glove offers with great aplomb is the superior sensitive feel – which is a function of its lighter weight and the suppleness of the Cabretta leather used. The TechGrip technology employed in its production is yet another element that has made it really fitting for playing golf. The vented parts of the glove are set to keep the hand dry as airflow is enhanced. The glove is suitable to use in right about any kind of weather. This glove has really not got any blemish, and that is even a big plus when you get to consider the price [which is just under $15]. It may look simple in design but there is no arguing the fact that it does its work like one used by a pro. The feel, attainable from wearing it, is rare to come by, and on top of that, you can be sure a good grip will not be elusive with it in yout hand. If you are feeling like a pro golfer, maybe it is high time you started playing like one by using this glove from Nike. The glove has been designed with the needs of the golfer in mind. It is made from a combination of materials such as polyurethane, nylon and goatskin leather. The leather panel is perforated to ensure increased breathability which helps you gain a desirable result as you swing. A lot has been said about the quality sewn into this glove as many persons appear to have found it to be the perfect fit for having a good timeout on the course. Notwithstanding, some persons have complained above the glove not being durable enough as it wore out after a few rounds. It is not also uncommon to come across users who have issues with the sizing of the glove, and its ‘extremely thin’ texture. Taking a deeper look at the Dura golf glove; one will see that it has stretch fabric at the back of the hand and around the fingers. This fabric is the very feature that ensures its breathability and flexibility. The palm and thumb are also reinforced with genuine leather to deliver a perfect grip and offer you a wonderful feel as you take the shot. It also has an adjustable angled tab closure which makes it possible to achieve an ergonomic fit. The Dura Feel VIII is one that we can recommend for anyone who is willing to hit the course. Nike has put in so much into this to make it the pick for those who are desirous of top performance. And it is even good to know that the quality in this glove comes at a reasonable price. The complaint raised about size is a minor issue that does not affect the effectiveness of the glove one bit. Finally in this group of ten, is the Intech which comes in a pack of six – though it can be purchased individually. It comes with Lycra inserts; these have been incorporated into the glove to make it flexible, breathable and comfortable to use. Its palm area is of premium quality Cabretta leather, and the back is reinforced with a strong and soft synthetic material. The glove is really popular for the right and wrong reasons. Although quite a good number of persons found it very valuable but, on the other hand, some persons have complained about the poor quality of the glove. There have been reports of its component parts falling apart; the glove chafing off and suchlike – all these cast a dark cloud over the glove’s durability. It has also scored low on moisture wicking capability in some quarters. The glove is however economical price. And asides the features mentioned earlier, some other things that can make you invest in one. For instance; the double-stitched thumb which promotes durability and the velcro closure which keeps the glove from falling off while you are using it. Plus it is worth noting that this glove gives a remarkable feel. If you are about having a one-off game on the course then you can pick a pack. But the truth be told; the quality of this glove leaves much to be desired. Maybe it is high time Intech focused more on quality than quantity. Folks prefer to spend more money – albeit reasonably – on a glove that will last for a longer period of time to having more inferior pieces for less. Golf gloves are not items you rush into the store to pick up. It is important that you put a number of factors into consideration right before setting out of your home. Again, you should not hesitate to do some personal research on the item and even asking from friend who might have an idea of what the best gloves look like. All these should be done so that you will have a good value for money upon making a purchase. Nevertheless, we shall henceforth share our thoughts on the things you have to ponder upon when making moves to buy a golf glove. A very critical aspect you should not neglect is the type of material that was used in making the glove. The material plays a major role in determining the durability and the kind of grip [and feel] you get from your pick. If anything at all, the glove should give you a comfortable feel, and should not wear out easily. Though Cabretta leather is commonly used for making golf gloves and that is because of the sensitive feel it gives. Some other materials like microfiber, polyester, wool and nylon have also been used in some instances. Complaints bordering on size are among the frequently occurring issues you get to read about in feedbacks. This could however be resolved if you take some time out to scrutinize the size specification obtainable with different brands. So, you might have to ask to know whether the brand you are routing does its sizing in accordance with the standard scale or if there is something entirely different in place. It is advisable that you try it out [to check if it will size you] before making payment for it. The design of the glove should not also be overlooked; it is reflected in the features found on the glove. Good gloves are known to be designed in a way that allows it to function better. For instance, some gloves are sometimes vented to permit appreciable airflow which keeps the hand cool and dry. Again, the mesh design, seams and stitching of any glove are yet again very significant aspects you should look at. It is not all gloves that have been made to survive all type of weather. This could have something to do with the material used; there have been cases where gloves made from synthetic materials heat up and eventually get damaged. Nonetheless, the ‘all-weather’ gloves are the best bet. More so, it would also be great to look out for water resistant golf gloves. You should not allow style or brand name becloud you; buying for the right glove will depend on your dominant hand (that is, the hand you use in playing). If you are a right-handed player, you should go for a left hand glove and if you are a left-handed player, you should go for a right hand glove. It is meaningless to go for a glove that does not match your playing hand. The need for a good glove for golf cannot be undermined whether you are playing the game at an amateur or professional level. Besides [the glove] helping you play better, it is necessary to have one on to prevent blisters. But then golf gloves are reasonably priced and do not have to spend a fortune to get one.